The 2018 racing season is with us and for all avid fans and bike riding enthusiasts the Tour of Algarve each February has all the cycling stars and showcases the superb landscape and riding terrain in southern Portugal. After the opening races in Australia and South America, February is when Europe highlights the new racing season, new colours and kit, new riders showing their class for the first time and the established stars testing the form ready for Classics and Grand Tour goals. The Tour of Algarve offers the warmest opportunity to put 5 superb stages for the first challenge of the year. We’re all looking forward to the new BMC team plan with Ritchie Porte and Tejay Van Garderen racing together, taking on the sky duo of Geraint Thomas and Michal Kwiatowski along with other tour stars Dan Martin, Sam Oomen and Bauke Mollema. 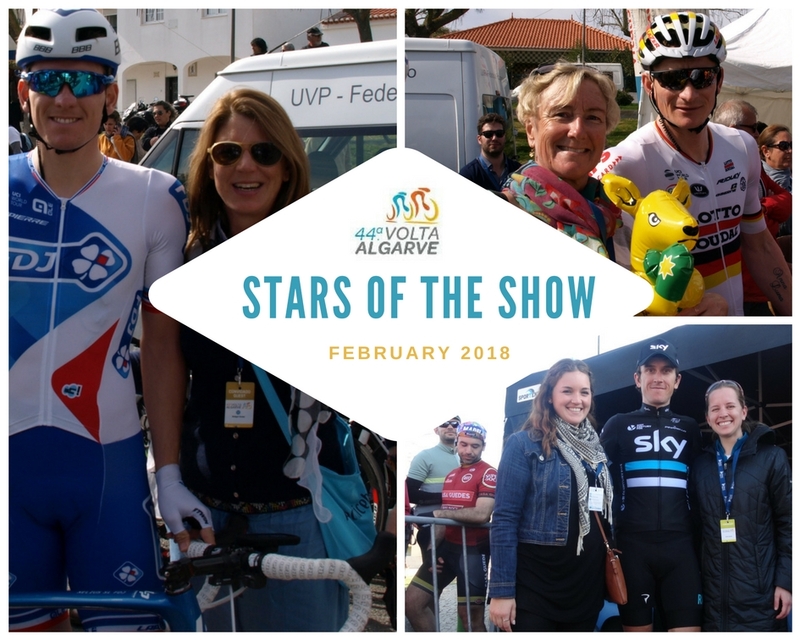 Will it be experience or an opportunist to take the overall Tour of Algarve 2018? With years riding on many of the warm roads of the Algarve this years route has one or two twists on offer along with the traditional variety to tease the sprinters the time trial specialists and pure climbers. 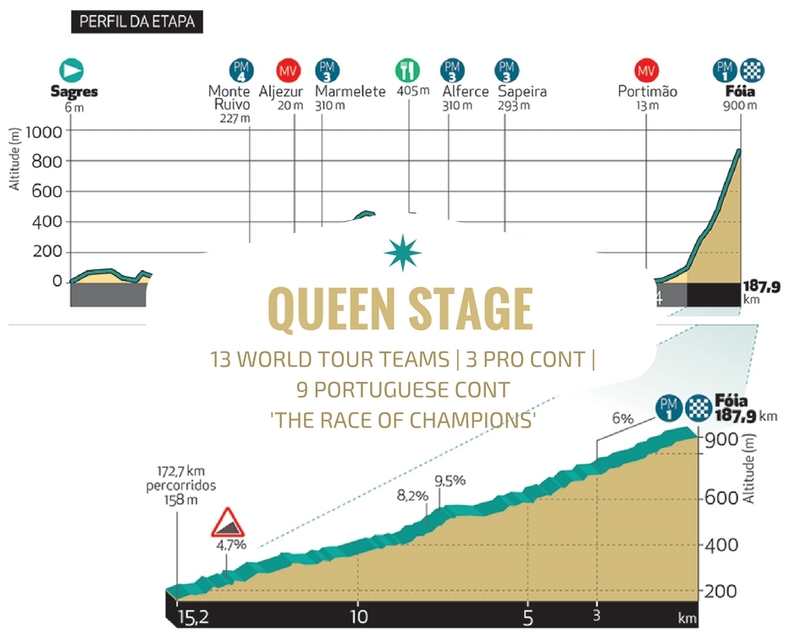 The Queen stage takes on the long climb to the summit finish at Foia (15.2km) after 187.9km of the most challenging roads in the Algarve. Great roads that you and I would enjoy over 2 or 3 outings, watch out for the climb of Saperia (PM 3) it may not be long although it could cause havoc in the peleton before expected! This extra tough February stage may highlight the good form required for the following days new time trial route around Lagoa, again extra difficult with 20km of technical undulating terrain to test the best against the watch. Experience these same roads as the Tour of Algarve cycling stars with your own cycling holiday in sunny Portugal.